The Exeter Historic Guildhall is a Grade I listed building that has been the centrepiece of Exeter’s civic life for more than 800 years. The building has existed since medieval times and has functioned as a court house, a prison and a police station as well as a place of entertainment for Kings and Queens. The ornate portico, built in 1594, once covered the city stocks. Today the Guildhall is still a busy working building as well as a historical monument. Book more than 10 tickets and receive 10% off. 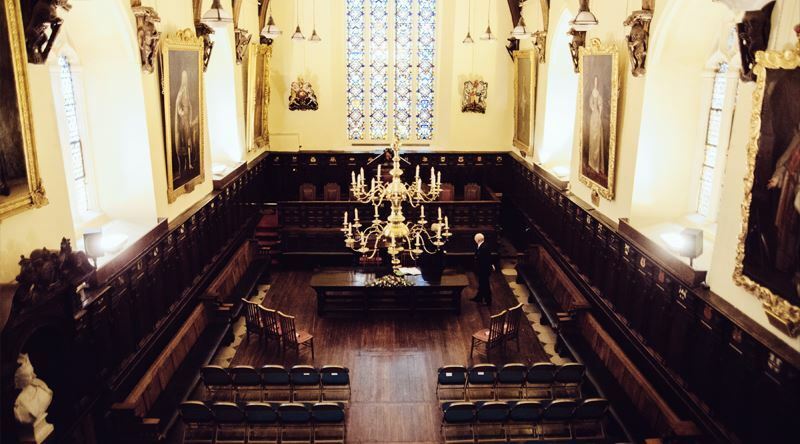 The Guildhall is wheelchair accessible through the main doors and the performance will take place on the ground floor. Due to the age of the building there are places where the floor is uneven. There is one wheelchair space available for booking, please contact 0203 176 7823. For more information please call the Exeter Guildhall on 01392 665500. Stagecoach South West offer frequent services throughout Exeter. The closest bus stop is Marks and Spencer (Stop 8). Three major Park and Ride services are also available at Honiton Road, Sowton and Matford. There is no parking at the Guildhall. Recommended car parks are the Guildhall Shopping Centre (EX4 3TT) and Mary Arches Street (EX4 3AZ).